At start the Dow Jones tried to close the open downside gap at 24,830 points, but missed it. The reaction at 24.830 points was bearish and the index dropped below 24.700 points. This now is a short-term barrier. As long as the index is below 24,700 points (short-term) a quick fall down to 24,280 points is likely. Above 24,700 points, a recover up to 24,830 or even 25,000 points is possible. The at 8pm EST published Beige Book of the Federal Reserve FED seemed to have no impact on the DOW. Yesterday we saw a 38% Fibonacci retracement and at close we had a good starting position for more gains today. But yesterday 6pm EST Gary Cohn resigned as Trump's top economic advisor and the Dow slumped. No rebound until now. A weak open is expected. Today we see a 76.4% retracement from the last upturn. Over 24,700 the Dow has good chances to gain up to 25,000. If Dow goes under 24,412 the Dow will go to 24,313 and new lows at 23,980. Have you ever seen one of those pictures of a small child starving in Africa and have something tug at your heart? Have you ever seen a cover on a magazine and picked it up just because of that photo? Have you ever bought a product because of a picture of someone else using the product and how happy they looked? If you said yes to any of these, don’t worry; you’re not alone. Advertising is a $200 billion a year business . . . and most of it relies on photographs that have emotional impact. 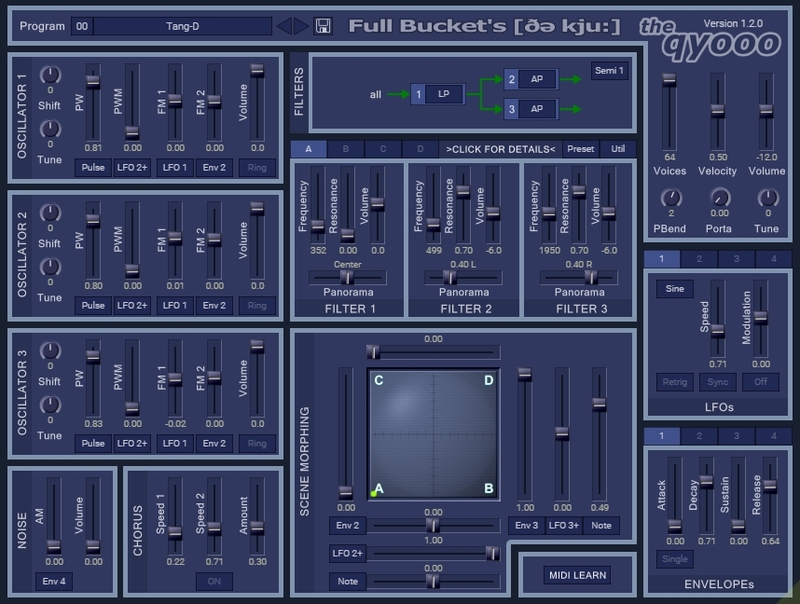 The qyooo is a polyphonic software synthesizer plug-in for Microsoft Windows (VST) and Apple macOS (VST/AU). It is written in native C++ code for high performance and low CPU consumption.